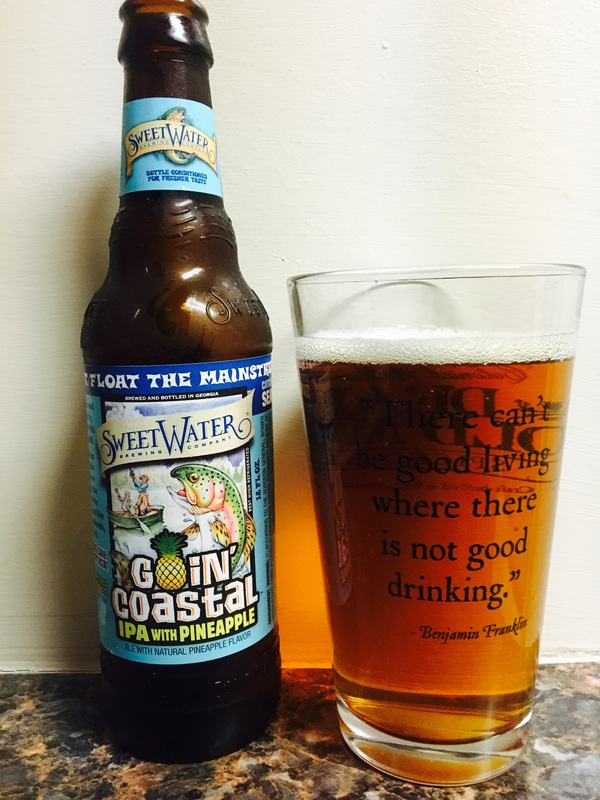 Sweet Water has a pineapple IPA that starts with a great scent, pineapple citrusy goodness. The taste does not follow up as well though, it’s hoppiness overrides the pineapple flavor, it’s good but not great. It does have a 6.1% Alc content which is always good. It’s listed as a catch and release seasonal, if you like Sweet Water I’m sure you will enjoy this one as well. 3.5 stars.